Black & White, HDR ( High Dynamic Range), Tilt Shift, Time Lapse, Slow Motion, Macro, Astrophotography and more. With each one having a vast new set of skills and accessories required to perfect it, it’s easy to spend a fair amount of cash before reaching some level of success. Today I want to talk about one affordable incredibly effective method to get you started in Macro Photography and Videography. Using the equipment you already have in your camera bag, you too can make amazing macro photography and video for under five dollars. First take a look at the type of results you will achieve in the video above I’ve made for Coin Enthusiasts, as well as Macro Photographers. 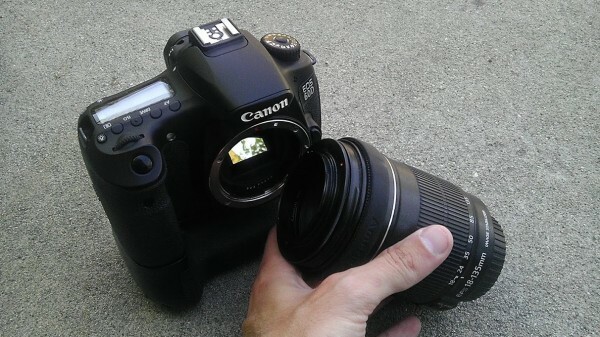 of your lens, with the front of your camera, essentially flipping your lens around 180 degrees.
. Unlike most any other case, a zoom lens works best with this. Different combinations of the zoom and focus will give you macro capability anywhere from about 16 inches up to 1 1/2 inches. Why this works (in short) is that the optics of every lens is designed so that all the light rays passing through it come together at a fixed point very near to the rear of your lens (your sensor). So when you flip the lens around you reverse the optics enabling macro level focus. To arrange all the rays of light to line up and form a focused image, you must view an object at macro distances rather than feet or yards away. Here is a gallery of other macro photography techniques if you're interested in researching more. Now go find some bugs!